Searchers spot wreckage of Indonesia plane that crashed with 54 people aboard. A man stands in front of the closed customer service counter of Trigana Air at Sentani Airport, near Jayapura, Papua province on August 16, 2015. The mystery of what happened to a plane that vanished Sunday in a remote region of Indonesia with 54 people on board seems to have been solved as officials said wreckage was spotted close to its destination. The location of the wreckage is consistent with the fact that the plane lost contact with the airport minutes before it was scheduled to land in bad weather, reports the Associated Press. Search and rescue teams were trying to reach the remote site on Monday to confirm reports that villagers saw the plane crash into a mountain. “Residents provided information that the aircraft crashed into Tangok mountain,” said the country’s director-general of air transportation. 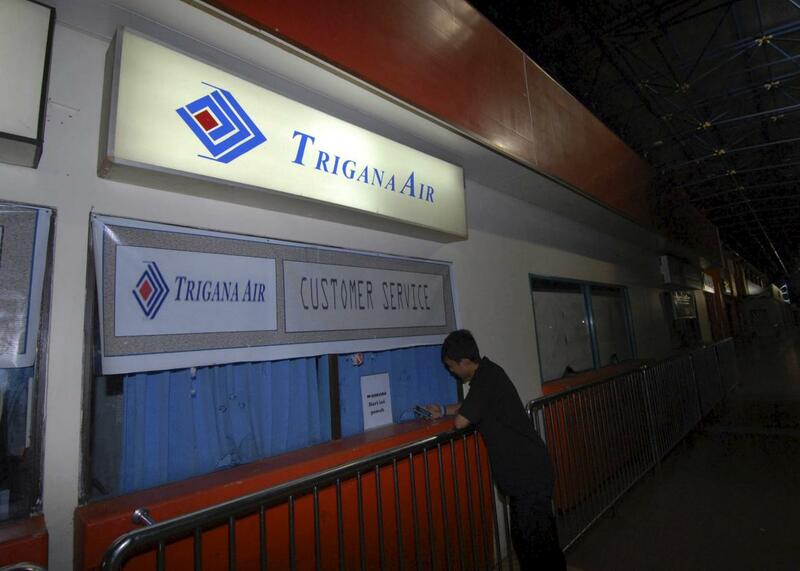 The Trigana Air flight lost contact with air traffic control as it flew over eastern Indonesia but search was called off Sunday due to bad weather. The ATR42-300 turboprop plane crashed while carrying 44 adults, five children, and five crew members, details CNN. The flight left Sentani Airport in Jayapura at 2:22 p.m. and was scheduled to land in Oksibil at about 3:16 p.m.
Trigana Air has been in 14 serious accidents since it began operating in 1991 and has lost 10 aircraft, reports the BBC. Assuming the crash is confirmed, it would mark Indonesia’s third significant aviation disaster in the last year. A military transport plane crashed in July, killing 140 people, and in December all 192 people aboard an AirAsia plane were killed when it crashed in the Java Sea. This increase in flights seems to have particularly taxed air traffic controllers, pilots, and mechanics operating in Indonesia. The country has become infamous for poor management of planes in the air and coming in for landings, and for lax enforcement of airlines’ need to maintain planes. Pay for air traffic controllers, mechanics, and regulators of the aviation industry remains low by regional standards, and graft is endemic at all levels of regulatory agencies in Indonesia; the country ranks among the most corrupt in East Asia in Transparency International’s annual Corruption Perceptions Index. Yet the increase in flights into and through the country has required more air traffic controllers, mechanics, and pilots, whether Indonesia is capable of providing trained people to fill these jobs.